Totally spooky. 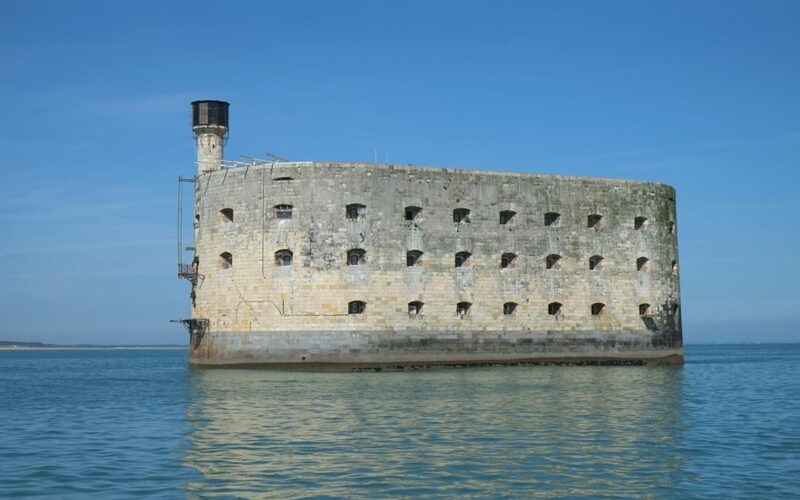 I can’t imagine what it would be like to see Fort Boyard in the twilight or in a ghostly mist. It’s actually a fort but has the look of a stone ship – pretty forbidding, I think. Work began to create this creepiness in 1801 under Napoleon Bonaparte but for a couple of hundred years, the idea of building a fort there had been discussed. (Mainly to repel and misdirect those dastardly British). The project as on and off for several years. This is understandable because of the logistics involved in creating such a fortification. Work was abandoned about 1809 and resumed in the 1830s when relations with the British were getting iffy again. When the fort was finally completed, cannons had a much greater range than they’d had when the idea of the fort was first mooted – so much so that despite all the problems that had been surmounted in order to build the place, it was almost useless as a fortification. Sensibly, it was decided that the bizarre building should be used as a prison. This continued, Alcatraz-like, until the early twentieth century and after that, the fort was abandoned to its fate. It stood alone, crumbling, until the middle of the twentieth century at which time the powers that be decided that it really was a rather special historic site and proclaimed it to be a listed building. In the sixties, it was sold to the Charente Maritime Regional Council. It’s now used as a film and TV show location. The building isn’t open to the general public but several boat tours are available to take you to see this spooky place for yourself. SEE REVIEWS AND MORE HERE.